Each day I pick up Charlotte from preschool, I immediately check her lunch box. She has recently started attending 3 full days of pre-kindergarten and now eats lunch and takes naps at school. The transition has been exceptionally smooth and I find that if I stock her lunch full of her favorite foods, I’m pretty guaranteed to see only crumbs left in her Planet Box. Last Wednesday I found her precious salmon cakes in the protein compartment completely untouched. I got little information from her teacher’s aide about why her lunch wasn’t finished, and it was ultimately Charlotte on the car ride home who provided me with the key piece of information that I needed. When she shared from the backseat that she had enjoyed a smoothie at school today, I pressed further. When I asked her what was in the smoothie, she promptly reported strawberries, raspberries, and yogurt. Yogurt? 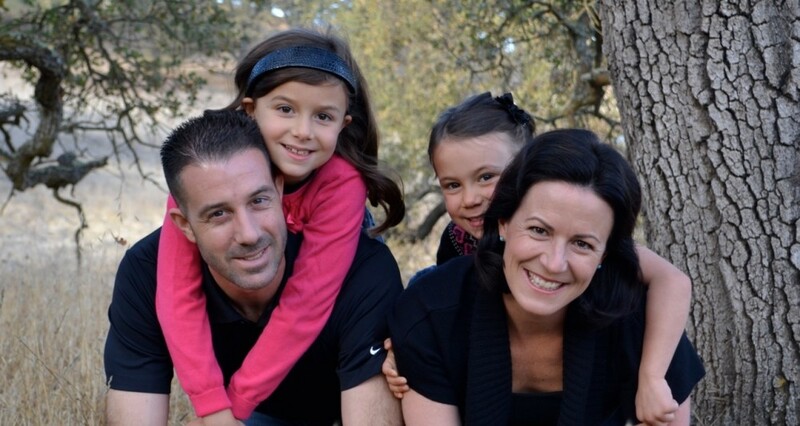 I began scanning my brain for the last conversation I had with her school staff about dairy. Had I made it clear that she couldn’t have dairy? I probably didn’t remind them this school year. So worried about gluten and grains, I completely forgot dairy! Swirls of guilt and confusion set into my thoughts and they were only made worse by what I saw when we got home. I asked Charlotte if she had experienced a tummy ache or if anything hurt. She told me she felt fine, but while I watched her watching her favorite movie, Dora Explorer Girls, I saw the regulation and predictability around her behavior that we had recently gained slowly evaporate. As hard as she tried, she couldn’t sit still. Sensory seeking behaviors like pacing around the table, pushing on the edge of the table with her foot, and inverting herself in weird positions into the couch cushions were telling signs that things were not right in her body–all of a sudden. A few minutes later she was arguing with her sister and communicating less. What she was saying wasn’t making sense. Her delicious Paleo dinner sat untouched, and I predicted a difficult night shift for myself, as Chad was out-of-town. Sure enough, at some point in the middle of the night, I woke up to find her pacing around my room in the dark, argumentative and upset about going back to bed. Thursday morning I woke up feeling overwhelmed and upset. We had a full day ahead, and I was dysregulated myself–struggling with PMS and interrupted sleep. I was feeling angry and distressed, wondering why everything in my life has to be so hard. I found the strength that is found in clear and healthy thoughts, and I pulled out the mental tool box I have developed to help myself in these situations. I meditated a bit in the morning, said the Serenity Prayer several times, and then made a plan to help Charlotte. When we arrived at our Occupational Therapy session a few hours later, I explained the situation to our wonderful therapist and asked for a restorative and regulatory session to get Charlotte’s nervous system under control. I took a brisk walk during her session to regulate myself and when she emerged, I could already see by the way that she sat down in the chair next to me that she was restored on many levels. I thanked our therapist profusely, and we went about our day with very few issues. The next day I spoke to her school and asked that dairy not be served to Charlotte. I asked the staff to substitute the gluten-free cookies that I had provided as an alternate treat. As parents we know these workable connections so well. In the form of eye contact, verbal processing, clear and understandable questions and answers, or even a lack of repetitive speech or nonsense talk, it’s when we reach our kids and see them respond. It’s exhilarating and inspiring. We keep at it and work toward more growth, improved communication, and the holy grail of self-regulation. It’s my belief that when the workable connections break down, the child needs our help to restore order. No one else knows what they need like we do. From twisting into pillows in the couch to screaming at me in the middle of the night, I knew that Charlotte was calling out for help. It’s a big responsibility. It’s overwhelming, exhausting, and lonely. Parents of special needs children must wake each and every morning and recommit to helping their child get exactly what they need using varied skills and strategies–carefully planned meals, critical but objective observation, appropriate and efficient communication with others who deal with the child, as well as walking a tight rope schedule that challenges the child to be a part of the outside world while preventing their total load of stressors from reaching the dreaded tipping point. My victory over yogurt last week taught me that in addition to all of things listed above, the skill of taking care of myself is a crucial step in regulating Charlotte. After pushing through PMS symptoms, anger, and guilt I was able to get to a place of problem solving and solutions. It’s taken me years of difficult experiences to build a tool box full of helpful strategies and support, but over time I am learning to find the Serenity to accept the things I cannot change, the Courage to change the things I can and most importantly, the Wisdom to know the difference. This entry was posted in Autism, Charlotte, Mom's Health, Sensory Processing Disorder, Sensory Regulation by peacelovepaleo. Bookmark the permalink. Joy, it’s so nice to hear that your mental toolbox, once again, has paid off. So many folks I know have tools at their disposal, but they never actually apply them. 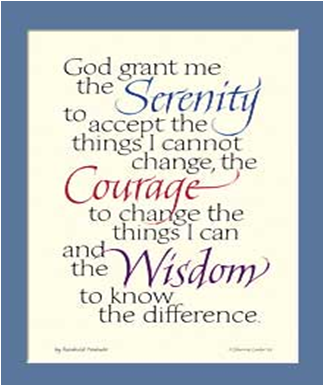 The Serenity Prayer is a good reminder for me…even for the little things that raise my blood pressure every day. Thanks for mentioning that! Thank you, friend, for being one of those that I can always count on. You put into words things a lot of us would like to say so well! Although our food battles are more related to texture/oral motor weakness, people take for granted how easy it is to feed their child! I love reading about your journey, and we miss seeing you guys!